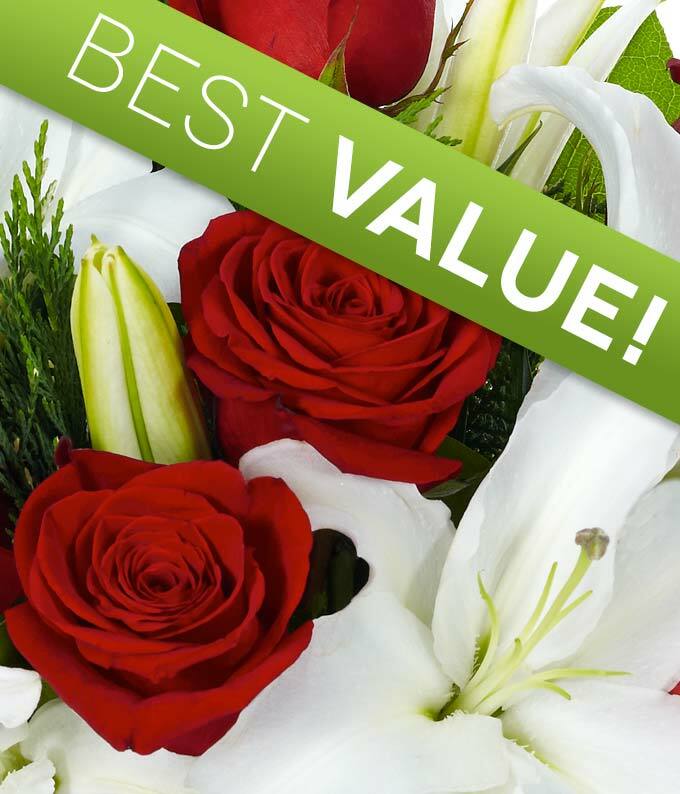 Celebrate this holiday season with an artfully created flower bouquet with Christmas flowers. The perfect gift to send to thank a host or to decorate your table for a party. Available for same day delivery or next day delivery. Note: Flowers in picture are for represenation purposes only. Actual flowers may vary depending on region, etc.